Charlotte is just starting to get used to a semi-normal life. She's now lived in the same place for longer than anywhere else in her life, and finally has some real friends. She even seems to be on the path to gaining her first boyfriend as Harris, the star of the football team is showing some major interest. So life is really looking up, but of course all that can change in a heartbeat. Things are turned upside down when Harris drags her into a party telling ghost stories in some sort of ritual to raise some ghosts. Charlotte doesn't believe any of that until some pretty strange things start happening at school. Even so, she isn't worried until things take a turn for the worse and now the danger is very real, with everything seeming to directly target her. The spooky factor got ratcheted up several notches in One Hundred Candles. In the previous book, Past Midnight there was a definite feeling of creepiness at times. However, the ghosts or "energy" never really felt like an actual threat when it came down to it. I mean the worst that happened physically was that Charlotte got pushed a little bit, just enough to make her stumble. In One Hundred Candles the threat is a whole new level. I definitely felt the danger a whole lot more, and for good reason too. Be prepared for some major heart pounding moments. While the marital problems Charlotte's parents were having definitely upped the tension factor in this book, I also think it was a very good includement for a YA novel. So many teens have to deal with their parents having marital issues. I have a feeling that a lot of teens will relate with what Charlotte is going through while dealing with the threat of divorce, yet it never once thrown in your face as a life lesson. I just really admire an author that deal with major "issues" subtly, just enough to be relatable. I had been a little disappointed in my lack of attachment to the characters in the previous installment. 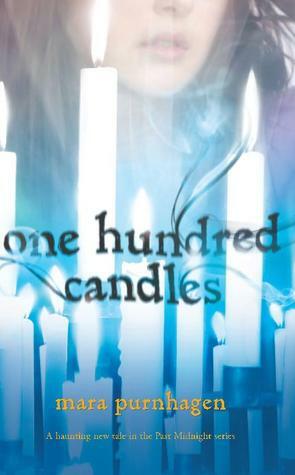 Now after reading One Hundred Candles I feel much more engrossed in the story and genuinely care for the characters. I'm really looking forward to seeing how things turn out next, especially when you consider the ending events leaving things very uncertain. 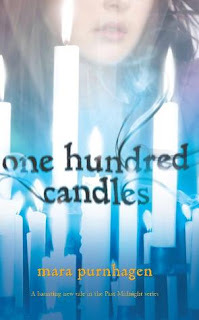 If you enjoyed Past Midnight, then One Hundred Candles will not disappoint as everything is stepped up a notch making it a truly enjoyable read.